I love starting a new year and making resolutions and goals. High on my list (again) this year is this one: Eat better, Feel Better. Last Sunday our friends were having an open house for their son who just returned from serving an lds mission. A standard staple at these open houses is often cosco cream puffs ( and a whole lot of other goodies loaded with sugar). Gentry is my addict. The girl loves sugar in all its many forms. Part of my new year's goal was to try and help her "detox" on some level. So , that night, before the open house, we are all sitting around the table eating dinner. Gentry (as usual) didn't want her to eat her's. I reminded her that we would be going to the open house soon, and that I would love for her to be able to chose one treat at the open house if she finished her salad. I've been trying to teach Gentry to navigate these kind of scenarios. In other words, it's so fun to have a treat, but you don't need to have six treats just because they are available. After taking a moment to extol all the virtues of spinach, I congratulated Gentry for putting something good in her body and excused her to go get changed for the open house. 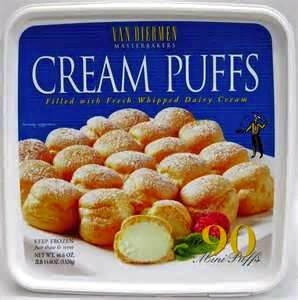 As she jumped up from the table, she ran down the hall singing, "CREEEEEAM PuffS! CREEEEAM PuffS!" And then, I couldn't help myself, as I yelled down after her, "Don't you mean Cream Puff!?" and then I started laughing (because sometimes I think I am hilarious)...and then, when Sierra and Gentry caught on and they started laughing. And, later, when we got to that open house, I watched in dismay as Gentry went over and polished off a cupcake and a cookie before I could even get across the room. Sugar (1). Mom (0). Game on. This is so great haha. I miss G!! And you guys!